Since Friday evening 22. March, WOW air is urgently looking for a financial source to keep flying. After cancelling negotiations with Indigo Partners and a refusal of Icelandair group, the Icelandic low-cost airline descending via final approach trajectory the decision “height” after which it must either continue its flights or land all its planes. Flugblogger is following the situation in real time. Airbus A321 TF-CAT is departing Berlin to Keflavik with 2,5 hours delay. There was a suspicion that the aircraft will be grounded by lessor request, as it happened yesterday with TF-PRO in Montreal. According to unofficial Flugblogg’s source, the situation was close to grounding the plane. The boarding, however, had started after the airline stated that bondholders have approved to convert their bonds into equity. Reference is made to a market announcement of WOW air (“WOW“), dated March 24 2019, regarding WOW air’s advanced discussions with bondholders about voluntary restructuring including an agreement of converting current debt into equity. Bondholders have formally approved to convert their bonds into equity and formal discussions with investors have commenced to fund the company. This is an important milestone in financially restructuring the company and secure the long-term sustainability of WOW air. Two days during the current week had been named as potentially fatal days in the company’s operations. The first one was yesterday which was a due day for paying ISK 150 million. Another one is at the end of the month when wages have to be paid. WOW Air’s managers work to conclude contracts with the company’s creditors and get new investors to the company. According to information from the company, talks are in full swing, but no further information is available on their progress. The next few days are crucial for the future of the company, whether it will be able to strengthen its finances or whether the business could go the worst way. (Published in Icelandic media RÚV). There is probably some issues with another WOW air plane. According to Flugblogg’s source, WOW air Airbus A321 TF-CAT had to depart from Berlin at 10:20 GMT, however passengers even were not invited to board the plane. There is no information if the plane was grounded by lessor. The plane is owned by Irish company Tungnaa Aviation Leasing Limited. Previously TF-PRO was grounded in Canada due to request of Bocomm. “Of course, I wondered about the role of a regulator such as the Icelandic Transport Authority, ”said Björgólfur Jóhannsson, former CEO of Icelandair in the radio program Bítið this morning, discussing the position of WOW air and the airline market. “The Transport Authority has the role of monitoring. First of all, it issues an operating license, and at that issue certain conditions must be met. Then it is the role of the Transport Agency to monitor whether these conditions are met, that the company is operational. It seems to me a long time since this company was not, ”said Björgólfur. He said the Transport Authority should have intervened and deprived the company of an operating license and mentioned that the UK Aviation Authority had stopped operating the airline Monarch when it was not for the company to meet its obligations. Björgólfur warned that painting would not be too black for the consequences of WOW air’s possible bankruptcy. Then he wondered if the market that WOW air had been doing would be sustainable. “In my mind, the tourist service is bullying with or without WOW. It is always the case that if it is a sustainable market then it fills up. He must be sustainable. It does not mean that you are selling a flight that is far below cost and will be called low-cost but not, ”said Björgólfur. Seven Wow Air planes are launched to their destinations in the UK, Ireland and Continental Europe. Six of them arrived in the country from the United States and Canada during the fifth time this morning and continued their journey eastward at 6 and 7 a.m. There is still great uncertainty about the company’s fate, but its main creditors agreed yesterday to change their claims to share capital in the company. The total share capital must correspond to 49 per cent of the shares in the company. They hope that with this, WOW will be “as desirable as a merchandise,” as news agencies have a reliable source of information, but in order to escape the bankruptcy, the buyer or buyers need to find 51 percent of the proceeds and obtain thus the five billion kronas still needed to ensure its continued operation. Arctica Finance’s Transfers, WOW Air’s Advisers, as well as Investors’ Investments, Arion Bank’s Sub-Banking Division, are now looking forward to receiving private investors, domestic and overseas, as well as high-level pension funds, to save WOW air operations for record time. The interviewees of the paper who are aware of the fear that miracles need to be done by Skúli Mogensen, the owner of WOW, and companies succeed the intention of the project in the short period of time for policy. Few, if any, private investors are likely to take that trip as soon as possible without the opportunity to review the company’s operations. It is clear that time does not work with the company, as the Transport Authority, which provides air traffic licenses, has closely monitored the progress. Skúli met with the Icelandic Transport Authority yesterday. WOW air owes about $ 200 million – bondholders, Arion Bank, Isavia, leasing companies, pension funds and other clients – which amount to approximately ISK 24 billion. Of this amount, just under two billion are owed to Isavia. The company is obliged to always have one machine from its bout at Keflavik Airport for the payment of the debt. WOW’s idea has been that Isavia is relinquishing its share of the debt. The comment of yesterday’s ministers does not give grounds for believing that the government is intervening directly. “I don’t think it’s justifiable to put tax money into risk management like this one,” said Bjarni Benediktsson, Finance Minister at Alþingi yesterday. WOW air lost 22 billion last year. Interviewees of the paper fear that the fact that two planes from the WOW were stationed yesterday with the associated disturbance in the air had a tremendous impact. The reports have come to the attention of the international media and the complaints of dissatisfied passengers as well. (Published in Icelandic media Frettablaðið). Creditors WOW air meeting was half an hour tonight. The subject matter was a plan to convert WOW air’s debt into 49% of the company’s share capital. According to the sources, the plan was limited. There was no protest. It was stated that the plan is to offer the 51% for sale. About $40 million, or ISK 5 billion, is discussed for the share. This will restore WOW air and make the business viable. “There was a meeting that was positive. It is gathering confirmations, ”said one of the company’s bond holders. Once the necessary majority of creditors and bondholders are reached, the aforementioned plan is activated. (Published in Icelandic media Morgunblaðið). Katrín Jakobsdóttir, Prime Minister, says it is important to remember that the Icelandic economy is doing well at present, but it is still very concerned about the position of WOW, as stated on the RÚV website. She says the airline’s representatives had a meeting with the Transport Authority where their plans had been reviewed. “We know that bondholders are gathering together to look at some of the actions for the company and we are observing that, of course, the uncertainty is high,” says Katrin, who says WOW’s bankruptcy would be a major blow to the travel industry. “But of course we still hope that this can be done by the company,” said Katrín, who pointed out again that the Icelandic economy was well at the moment and that the state’s debt position had improved. Furthermore, Katrín also stated that Isavia had “certain insurance for the debts of WOW air,” but not what it meant. Bjarni Benediktsson, Minister of Finance, stated in the inquiry time in the Althingi today that there is no room for running under the auspices of WOW air, as he is not considered to be justified in introducing tax money into risk management. The government will therefore not withdraw the financial plan despite the uncertainty surrounding WOW air. WOW air’s bookings for flights to London on Tuesday and Wednesday have opened again. Bookings were closed today at noon, which was thought to be due to the uncertainty about the future of WOW air. This involved technical difficulties, according to the company’s information officer. The plane ticket is, however, slightly more expensive than it does and happens because another route costs about 96 thousand ISK. 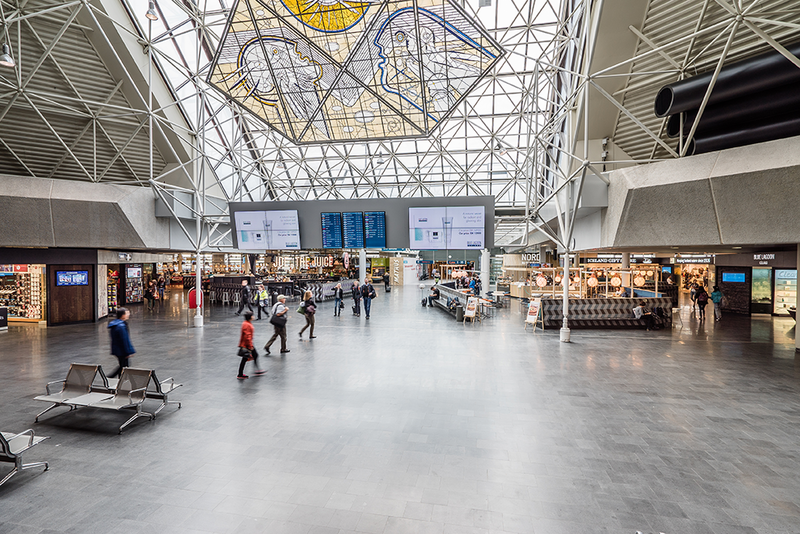 Fréttablaðið reported today that it would only be possible to order seats for five flights with WOW air from Keflavik Airport, of fourteen of them scheduled for tomorrow. For example, it was not possible to buy flights to Paris, Amsterdam, London or Copenhagen in the morning. However, it is now possible to buy tickets to Copenhagen tomorrow at ISK 5,500 and to Amsterdam on Wednesday ISK 13,300. The ticket to Paris on Wednesday is about 90 thousand ISK. WOW’s representatives have not been reached so far this day, but Vizir got the explanation that the booking page has gone down due to technical difficulties. No flights have been cancelled but fully booked for several of this week. It should also be noted that no explanation has been given of the price level discussed here. WOW air’s Airbus A321 TF-PRO was grounded in Montreal previous night due to lessor request, who feel concerns about the financial situation in the airline. Previously it was stated that the plane did not perform back flight to Iceland because of a technical issue. WOW air’s debt to Air Lease Corporation is up to $16 mln. (Published in Icelandic media Turisti). The chairman of the labour union of Akranes Vilhjálmur Birgisson told journalists that the meeting of six trade unions and the Confederation of Employers at a State Conciliation Mediator was postponed for the two-way deal today because of the situation that has arisen because of the airline WOW air and the uncertainty surrounding its future. The talks mainly focused on the payroll, and Vilhjálmur says that SA does not want to make any contributions in that regard. “They have not relied on it for a long time and imagine the position of WOW air so people wanted to leave that day to see what the trend will be,” Vilhjálmur said. “We think it is very important that in order to be able to continue negotiations to see if there is any basis for negotiation, we must see the pay line and that is less so, given that we have entered the strike,” says Vilhjálmur. The outcome of the negotiations on the payroll will determine how things will continue, other factors. “It is now quite amazing that with every shock that is affecting the Icelandic economy, it is about teaching Icelandic workers. Now there is one small airline that causes the situation to be this way. Once again, it is not an employee who is responsible for it, ”he says. Various images about the economy have been drawn up when WOW goes bankrupt. The rise in inflation could amount to one to two percentage points and Vilhjálmur asks who will then protect Icelandic households. “I think people need to have the overall picture when they worry about the airline not surviving,” he says, adding that he hopes everything will do well, the staff because of them. This is stated on the website of the Icelandic Transport Authority, which provides information on the ways in which passengers are offered if travel agencies or airlines become bankrupt. It states that passengers who have paid for their trip by credit card are advised to contact their payment card company in order to request a refund of the trip. In the case of a package tour, a travel agency with a travel agency license does not require passengers to claim a bankruptcy estate due to the costs they incur due to their return journey. In the case of a tour operator, the passenger is compensated for the damage caused by the travel agency’s mandatory insurance. Mandatory insurance for which a travel agency license is required is valid only if a package tour has been purchased. WOW had to cancel and delay trips to London and Dublin in the morning because the company only had seven jets at Keflavík Airport, but the flight plan was for eight morning flights. The company has then had to leave one plane behind and therefore cancelled trips to two cities. According to Flugblogg’s source, WOW air’s Airbus A321 TF-PRO was grounded in Montreal, after performing a flight WOW251 from Keflavik there earlier today. Another WOW air’s plane – Airbus A321 TF-DOG – was sent to pick up the passengers. It has departed Keflavik as WOW9251. 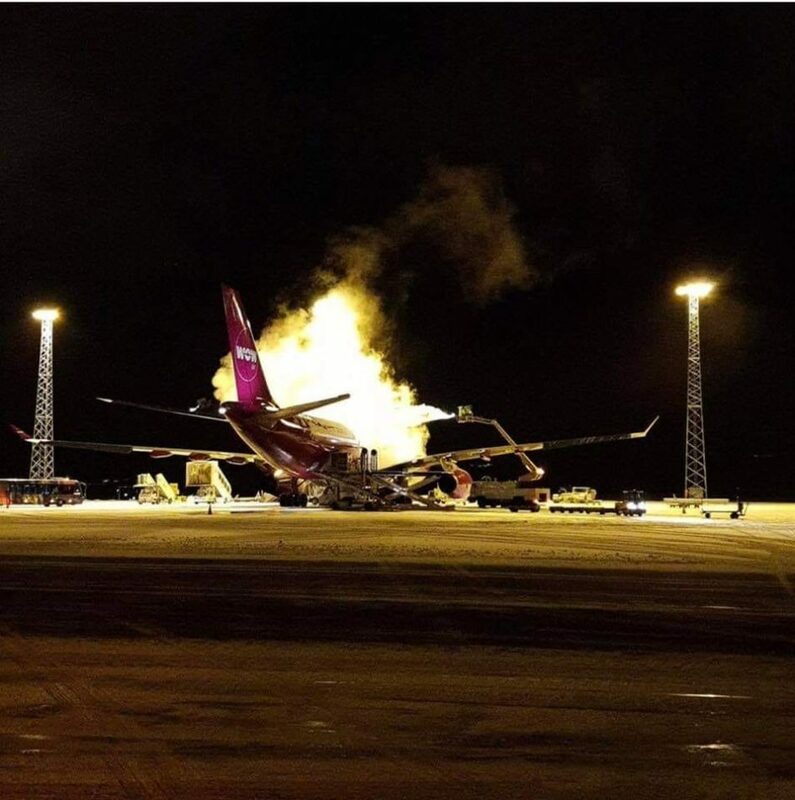 There were rumours that the plane could be arrested due to WOW air’s debts. However, according to Flugblogg’s source, TF-PRO is grounded in Montreal because of a technical issue. “One should, however, be kept in mind and it is possible that the benefit of the creditors is better served by holding the company in operation, e.g. with a change in debt in equity. So it’s not entirely excluded that WOW will continue to operate. The question for creditors is, therefore: Is the company’s operating value more than its dissolution value?”, anonymous Icelandic financial analyst. (Published on Twitter, account @kapitalistasvin). “Dear friends. I realize this is going to sound like the story endless – and I hope this story will not end”, this is the beginning of the short letter that Skúli Mogensen, CEO and owner of WOW air, sent to employees tonight. In the letter, he said little except what was in a statement from WOW tonight. Work is now underway to convert debt into equity, with the aim of saving the company. Skúli thanks staff for a lot of support he received from them. He says many have offered to contribute part of their wages to shares. He hopes it will be possible. Skúli Mogensen is now trying to save the WOW air. Arctica Finance tries to collect ISK 3.6 billion in record time. Skúli is ready to release a significant share in WOW air. But even though, for a happy end, Isavia has to write off at least part of WOW’s debt due to landing charges. The experts think it is almost impossible for Skúli and Arctica to succeed. Icelandair Group has decided that its possible involvement in WOW air’s operations, as announced on 20 March 2019, will not materialize. Therefore, all discussions between the parties have ended. Opinion: Due to WOW air bankruptcy up to 4 000 people will lose their jobs in Iceland. If WOW air leaves the aviation market, GDP could drop by 0.9 to 2.7 per cent in one year. This shows the results of a study conducted by Reykjavík Economics at the request of WOW air, which is reported in Fréttablaðið today. Subsequently, the króna would depreciate and inflation increase. The report states that the reason for the contraction in GDP would be a reduction in the number of passengers due to less seating capacity. It is highly unlikely that other airlines will be able to increase, so much so, to their candidacy this summer with such short notice. According to the Reykjavík Economics scene analysis, in the range of 5-15 per cent of those working within the characteristic industries of the tourism industry would lose their jobs. The number of employees in the industry is about 29 thousand, which means that between 1.450 and 4.350 people could lose their jobs. Opinion: The analyst says that WOW air and Indigo Partners discussions have probably been challenging in light of the airline’s debt to Isavia. The analyst at WinAir Hans Jørgen Elnæs, in a conversation with the Norwegian business centre E24, says that the discussions of WOW air’s representatives and Indigo Partners have probably been challenging given that the Icelandic low-cost airline owes Isavia high sums in landing fees, in addition to which lend the airline money. Elnæs says that Bill Franke, the principal owner of Indigo Partners, probably did not want to invest in WOW air unless the airline first cleared up large debts. (Published in Icelandic media Frettablaðið). The proposed investment of Indigo Partners LLC (“Indigo Partners”) in WOW air has been cancelled by Indigo Partners. Therefore, all negotiations between WOW air and Indigo Partners have been cancelled. Subsequently WOW air has started discussions with Icelandair Group. The parties aim to conclude the negotiations by Monday, March 25, 2019. In January 2019 WOW air declared, that Indigo Partners approved the Senior Floating Rate Bonds with “an aggregate outstanding amount of USD 60,000,000”. In the interview with Business Insider Skúli Mogensen revealed that the main issues in the management of his airline were high costs, which increased after adding new airline types to WOW air´s fleet. „One of the core essences of the successful low-cost model is to ensure that you maintain a simple and coherent fleet structure because it will very quickly complicate the operations and therefore the costs if you have multiple fleet types,“ Mogensen said to Business Insider. The negotiations with Indigo Partners are almost stuck, the day of the final deal postponed. WOW air founder and owner Skúli Mogensen stated the airline has financial troubles due to increasing of oil prices and fees in Iceland. WOW air cancelled its order for the newest Airbus A330-900neo. The WOW air’s debt to Isavia reached $17,6 mln. WOW air’s management is looking for an investor, who could increase capitalization of the airline and help the company to deal with debt. Skúli Mogensen repeatedly announced negotiations with “different interested” participant. National carrier Icelandair declared its readiness to buy their competitor. Skúli officially agreed and Icelandair management started to prepare details for the shareholders meeting. Several days before Skúli unexpectedly announced he has found an investor abroad. Indigo Partners LLC, the consortium from the US, which has a controlling interest in the American Frontier Airlines and Chilean low-cost JetSmart, also holding stakes in Mexican budget airline Volaris, announced about the signing of an agreement with WOW air. The main requirement for the getting investments was restructuration of the WOW air, which began shortly after the signing of papers. The airline started to reduce costs. In December 2018, the airline has fired 111 people, which is a significant number for Icelandic reality, and declared the reduce fleet from 20 to 11 aircrafts.